The GOOGL stock price is up over 33% in the last 12 months, but the company is lagging behind in the cloud-computing war. In fact, the tech giant only has 4% of the market. GOOGL stock climbed more than 5% this morning (Tuesday) to an all-time high of $807.94 after parent company Alphabet crushed earnings after the bell Monday. And according to Money Morning experts, there's one major reason why the GOOGL stock rally won't end any time soon. Alphabet stock has hit a milestone only a select few companies ever reach. 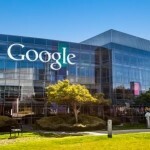 On Tuesday morning Alphabet Inc. (Nasdaq: GOOGL), formerly known as Google Inc., dethroned Apple Inc. (Nasdaq: AAPL) as the most valuable company on the planet following a strong Q4 earnings beat. But what's remarkable is that Alphabet has reached this pinnacle with so much growth potential ahead of it. Anyone who's ever done search on Google Inc. (Nasdaq: GOOGL, GOOG) knows it costs nothing to do so. The same goes for most Google services, such as Google Docs, Google Maps, and Gmail. All free. Google stock faces yet another regulatory threat, this time from a new Federal Trade Commission antitrust investigation into the tech giant's Android operating system. The FTC probe follows one in the European Union as well as several more around the world, including in Brazil and India. Google announced the formation of Alphabet Inc., which will replace Google Inc. as the company's publicly traded entity. The move prompted analysts to revisit their ratings and targets for the Google stock price. After the close on Monday, Google Inc. announced plans to launch Google Alphabet. Now investors are asking us, "What is Google Alphabet and how will it affect Google stock?"